Leesa Coupon: SAVE 100$. Just click HERE. Casper Coupon: No Coupons yet. You probably won’t deny that being overwhelmed by a number of goods makes it really difficult to choose the best one among them. Especially when we talk about mattresses, the things our sleep and well-being depend on. There are many decent companies out there that offer high-quality mattresses. Some are comfortable, some are not. Some are more expensive, others offer exquisite service and guarantees. 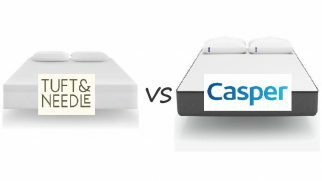 To help you make up your mind, I’ve decided to write a Leesa vs. Casper review, in which I’m going to compare two of the most popular mattress models on the market. Let’s see which one is going to stand out. I want to start my Leesa vs. Casper review with the most important part: the layered foams. This is the number one criteria you should consider when picking a mattress. Its construction will influence your sleep quality immensely, so make sure you pay attention to all the details. the top layer is made of the Avena foam and provides a cooling effect (which actually works pretty good). Thanks to its notched design, the top layer allows the air to flow freely and also provides a good bounce to the body. the middle layer is a 2” memory foam designed for the pressure relief. It also serves as a transition from the top comfort foam to the base layer. the support layer is 6” thick and is a core of the mattress. It offers support and durability but doesn’t have that too firm feel like many other memory foam mattresses do. Check out our in-depth review of Leesa mattress here. the top layer is an open-cell foam, which serves as a cooling layer but also has a pleasant bouncy effect to it. the pressure relief layer is quite responsive and doesn’t make you sleep hot as it is placed under the cooling layer. the transition layer is made of an adaptive polyester, distributing the body weight and providing a smooth transition from the top comfort layers to the base. the base foam is thick and supportive. It’s pretty basic, just like in any other foam mattress, but its quality is good and it provides great support. Also, check out our in-depth review of Casper mattress. This part of my Leesa vs. Casper comparison is for each of you who has a sensitive nose and hates sleeping hot. 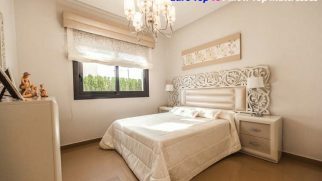 The cover in both mattresses is high-quality and very soft to the touch. I love the fact that Casper’s cover has a zipper and can be removed, which makes it easier to clean. Leesa, on the other hand, provides excellent quality and finishes off with a great design. Although the cover isn’t usually visible because of the sheets, I appreciate the pretty design anyway. Also, Leesa has released a special edition cover, with which the mattress will cost you $50 more. Both covers are breathable and contribute to the cooling effect, which is a great plus. Have you already got a personal preference? Click here to order your Leesa and here to buy your Casper mattress today! Now, this is where it gets tricky in my Leesa vs. Casper review. They both turned out to be a bit firmer than I expected, and I absolutely loved it. I prefer a supportive mattress and a bouncy feel, which are the characteristics of both Leesa and Casper. So, in terms of firmness and the Casper vs. Leesa comparison, these two mattresses perform really well. On a scale from 0 to 10, Leesa is about 7 and Casper is closer to 8. They both don’t feel like a cotton candy, so if you want something super soft and cloud-like, the Leesa and Casper mattresses aren’t for you. But if you, just like me, prefer sleeping on a supportive and bouncy surface, it’s time to get your Leesa or Casper mattress! In the battle Leesa vs. Casper, the back support is a very important criterion. Many people, especially those who have a sedentary lifestyle, suffer from a constant backache and can’t sleep well because of that. That’s why picking a mattress that can support your back properly and distribute your weight evenly is an important step in improving your back condition. Leesa provides decent support and a pretty good bounce. This mattress isn’t too firm, which is why it’s not suitable for heavier sleepers. When sleeping on the Leesa mattress, I felt comfortable in all positions. I guess that special Avena foam does the trick and supports the body in all positions. I didn’t experience any back or neck pain, even though I’m used to sleeping on firmer surfaces. The Casper mattress had a bit firmer feel than Leesa, which is why the level of support it provides is also a bit better. It might even be suitable for heavier sleepers, but let’s not forget that it’s still a foam mattress, so don’t expect it to support you perfectly if you’re overweight. As for the edge support, there’s really nothing special to say about both Leesa and Casper. They are foam mattresses, which means the edge support levels are pretty standard and aren’t that awesome. Of course, you won’t roll off your bed in your sleep, but if edge support is crucial for you, it’s a good idea to look at some innerspring mattresses. 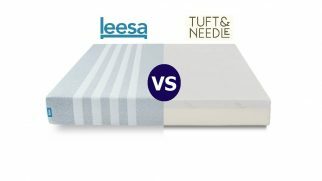 This Leesa vs. Casper review is about foam mattresses. That’s why I want to point that the motion isolation levels will depend on your and your partner’s weight. If you both are middle weight, you will enjoy the low motion transfer levels in both Leesa and Casper. Casper, being a firmer model, provides better motion isolation, so consider this point if you get easily disturbed while sleeping. Have you made up your mind? Click here to get your Leesa mattress and here to order your Casper mattress today! In my Casper vs. Leesa review, I want to pay attention to the sinkage levels because this criterion might be very important for some people. It’s safe to say that both Leesa and Casper are rather bouncy and don’t provide that much sinkage. Again, Casper is a bit firmer, so this mattress shows even lower levels of sinkage. If you prefer your mattress to be bouncy and responsive, get your Leesa or your Casper mattress now! Both mattresses are delivered compressed in a box, which means they might have a slight odor when unpacked. For the purpose of my Leesa vs. Casper comparison, I left both of the mattresses in a ventilated room. With Casper, the smell disappeared within a day. As for Leesa, the off-gassing stayed for longer. It took about a week and a half for the smell to disappear, which is much more compared to Casper. My Leesa mattress arrived 7 days later after I’ve placed the order. The shipping was free, which is a big plus. The company ships to all 50 states, Canada, and the UK. The mattress comes compressed into a box, so the delivery and the setup were rather easy. With Casper , the shipping took 3 days and was a fairly easy process as well, plus it was free. The return process for the Leesa mattresses is supposed to be rather simple. You need to use the mattress for at least 30 days, and then it can be picked up from your home for free. Keep in mind that if you live in Hawaii or Alaska, you will have to pay $100 for the return shipping. As for the Casper mattress, if you buy it on Amazon (which I recommend you to do), you have the same conditions as other items. A sleep trial is a common service many mattress companies offer to their customers, and both Leesa and Casper are no exception. With these two companies, you can safely try your mattress out for 100 days (“nights” is more suitable here, right?) and return them in case you don’t feel comfortable enough. As for the warranty, both Casper and Leesa offer a limited 10-year warranty. Now, you need to keep in mind that some companies offer a 15-year or even 20-year warranty, so if you’re looking for something more long-term, you could search for other options. But if you find these conditions more than suitable, get your Leesa mattress here or order your Casper here! No matter what the manufacturer claims, a mattress cannot be perfect for everyone. We all have different shapes and preferences, which is why it’s impossible to create one mattress that would suit all the people. 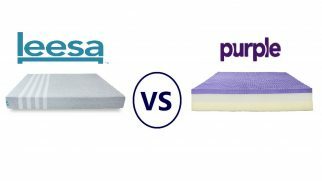 As for Leesa vs. Casper, each of these mattresses would be great for some people and not that great for others. Let’s see which one is the best for you. Click here to find out more and how to order YOUR Leesa Mattress and here for Casper. 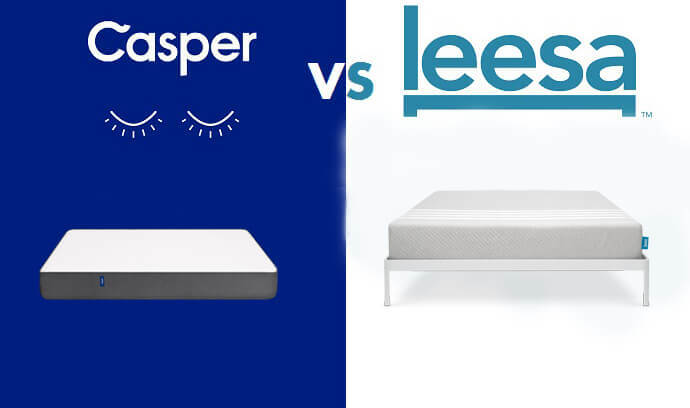 It’s obvious now that both Leesa and Casper are great mattresses for a reasonable price. Casper is a bit more expensive but offers an additional foam layer, more support, and great pressure relief. Leesa, on the other hand, provides a bit softer feel. They both offer a sleep trial and a 10-year warranty, and the delivery conditions are pretty much the same. Yet, in terms of overall comfort, I would recommend Leesa. I found this mattress to be more supportive and to have a better influence on my back. It sleeps cool and shows better motion isolation levels. It’s certainly a mattress worth investing in.